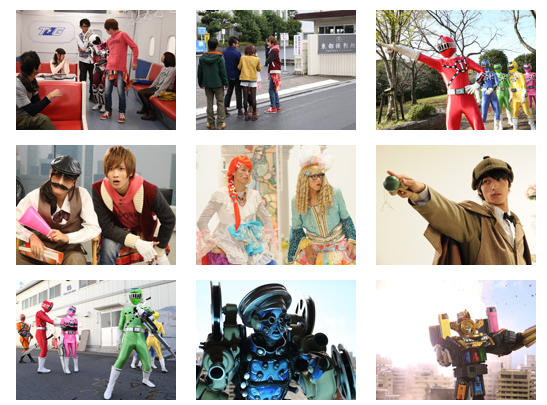 The team goes behind the scenes next time on Ressha Sentai ToQger: Station 38: Let’s make a movie. The Resshas have arrived at a station near a movie studio. They discover the Film Shadow attacking a man. After saving him, they find out he is a movie producer and are invited to visit the sets. However, staff and directors start vanishing and Kagura becomes a director, leading to the rest of the team substituting for the staff to save the movie!